Pros: Play lets kids experiment, encouraging student inquiry. Cons: Initially the touch interface can be frustrating, but kids will figure it out. 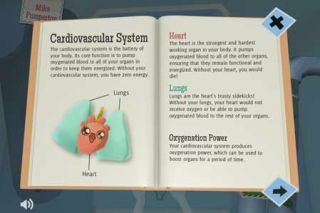 Bottom Line: A stellar tool that lets kids figure out how body systems work together to keep us alive.